The bridge you drove over on the way to work this morning, the coffee you picked up at the drive-thru, the office you work in – all of these of these things you encounter on a daily basis without a second thought were developed through successful project management. 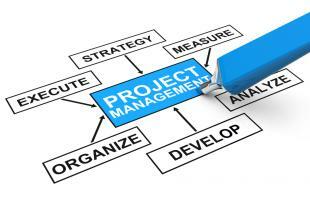 Project management is the process of initiating, planning, organizing, and controlling processes and resources to reach the final project goal. This can range from planning a product release to implementing a new database system at work. Project management is critical to reaching your project goals. By effectively managing and planning ahead, you can save time, money, and resources. Successful project management ensures that you will accomplish what you intended and your objectives will be reached efficiently. To help you reach these goals, the Project Management Institute provides a wide range of resources and support. The Project Management Institute (PMI) is the world’s leading not-for-profit professional membership association for the project management profession. The organization sets standards and provides certifications, academic research, professional development courses, networking opportunities and more to help you improve organization and progress professionally. Outlining your project goals with each team member helps ensure project success. Before beginning, it’s important to establish milestones and guidelines. This course helps you understand the importance of project preparation, helps you define your own project framework and set your goals. Your work should always align with your company’s overall goals and strategies. This course will help you understand how your work connects to the overall strategy through the use of a video and implementation worksheet to ensure that you are effectively contributing the team. It’s crucial to know your competition to help you differentiate your product from the rest. This course will help you understand your competition and marketplace in order to better understand your customer, identify ways to improve your product, and help your business stand out from the rest. With so many changing variables, risks and opportunities throughout the course of a project can alter the original plan. However, knowing how to minimize risks and seize opportunities is key to being a good project manager. This course will help you analyze threats and opportunities to make the optimal choice for your project. With the wide variety of courses offered on OpenSesame, it’s easy to earn PDUs and maintain your certification, as well as expanding your knowledge of project management!